Los Angeles, considered the entertainment capital of the world, will no longer tolerate entertainment that involves performances by wild or exotic animals. 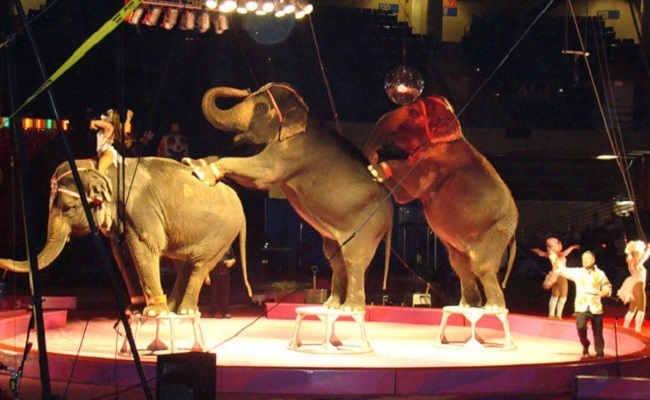 The City Council voted unanimously April 25 to ban the exhibition of these animals for entertainment or amusement purposes in circuses, exotic animal shows, public places and private house parties. L.A. will now become the largest city in the country to prohibit this type of entertainment. Unfortunately, the ban does not include animals in zoos accredited by the Association of Zoos and Aquariums, petting zoos, research labs, educational presentations or legitimate film productions — but it’s still a very important first step. The ordinance, introduced by Councilman David Ryu, was supported by several animal welfare groups, including the Humane Society of the United States (HSUS) and PAWS (Performing Animal Welfare Society), which both led the effort to get it passed. Ryu was motivated to introduce the ordinance after he tried to crack down on Hollywood parties where animals like lions and tigers were put on display in cages. In 2013, Los Angeles showed leadership by prohibiting the use of cruel bullhooks, sticks with a sharp hook on the end, to train and control elephants. This ban was a major reason why Ringling Bros. and Barnum & Bailey Circus decided to stop using elephants, and earlier this year announced it was ending “The Greatest Show on Earth” altogether. With Los Angeles being the home of so many movie studios, it seems a shame that the ban doesn’t include wild animals used in films and TV shows, especially since nowadays they can be replaced with realistic-looking but fake CGI (computer-generated imagery) versions. Before it becomes a law, the ordinance will be written by the City Attorney’s office and voted on again by the City Council. San Francisco has already prohibited performances by wild animals, and New York City is currently considering a ban. Along with L.A., here’s hoping these cities lead the way for performances to be banned everywhere in the United States. California can be an example to the rest of the US in many respects when it comes to the environment and animals. Thanks for posting! What great news! Thanks for sharing.